The aim of a Real Estate agent is to convince the buyer to purchase a home at the highest possible price. Buyers make the mistake of thinking that the selling agent is on their side but this is simply not the case. Only Buyers Agents do that. Selling agent works only for the vendor and is legally bound on a contractual agreement to achieve the highest possible price for the property, and to do so on the sellers terms. Paying a fair market price for the property. Buying a property that has a higher chance of increasing in value. Investors looking to invest somewhere away from home and does not want to spend time and money for travel could benefit from a Buyer’s Advocate services. Wise Real Estate Advice specialize in assisting Australian expatriate buyers secure their dream home or investment property in Australia. We are up to date with the latest research and trends in the Australian real estate market. We access both on and off-market listings that may be suitable for your requirements that can deliver a range of properties to suit your specific investment requirements, whether they be for capital growth or positive cash flow. We can help you choose suburbs with the best lifestyle, schools, capital gains potential or whatever features you are looking for. We will be your eyes and ears on the ground searching for the right homes and properties. Using our expert negotiation skills we’ll also save you a packet when it comes to securing the properties ahead of other buyers. 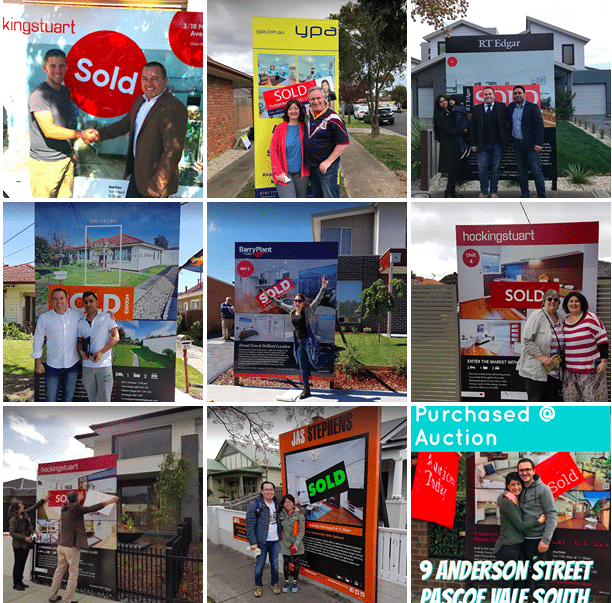 As the most awarded buyers agents in Australia, we’d be delighted to help you. Our buyer’s agents are able to take your brief and provide the most suitable real estate options based upon your requirements. Let us be your local representative and make your investment in Australia a successful venture. As professional real estate buyers agents we are able to assist both individuals and companies with their FIRB Returns with the aim of paving the way for a successful investment future in Australia. In addition to this we are able to coordinate for you Australian Legal and Tax advice so that you are aware of your obligations and that your investment is made with clear and relevant information. Purchasing property via a SMSF is a smart strategy that enables you to earn superior returns in a highly tax effective manner. Negotiate a fair market value with the seller. The beauty of investing in property with your super is that it doesn’t affect your daily cashflow. However, just because a property is being purchased within an SMSF does not reduce the need for proper research and analysis. In fact you need to be extra careful and diligent in doing your research to create your retirement fund. Buying property is not something most people do once in a life time. Many are inexperienced when it comes to negotiating price, and some are simply too busy to dedicate the time required. Wise Real Estate Advice employs a number of creative techniques to negotiate advantageously for our costumers. You are much better served by a Buyer’s Agent who relies on proven skills and expertise to counter misinformation, overpricing and emotional impulse buying. Our services cover all aspects of the purchasing process – from finding the right property and determining its true market value, to negotiating the best possible price and bidding on your behalf at auction. If you are an investor, you may also need advice about other matters, such as the desired rent, whether the property will attract tenants, and any capital expenses or repairs that will need to carried out in order to attract tenants at the desired rent. Buyers agents not only source the right property in the an area the will maximize your capital growth, they also reduce the risk by giving you visibility over aspects like rental return, finding tenants, historical growth trends etc. Whether you’re a home buyer or investor, you can trust the integrity and professional skill of our buyers agents. It’s smart to make property decisions with an expert on your side. Don’t risk making an emotional purchase. Our local knowledge gives you the edge. More info on our fees click here. Are buyer’s agent fees tax-deductible? If you are purchasing the property for investment purposes then the fees may be tax-deductable. (Generally the fees are added to the ‘cost base’ for the calculation of capital gains tax, rather than being deductable in any single year). You should obtain specific advice from your accountant. You can relax and know we are here to do all the work. From property search and inspection, market valuation, negotiate and purchase. For our investors, we also help you find the right tenant and mange your investment. Our agency is independent, this means we act separately from financial advisors, developers and real estate agent influence. Our property recommendations are the best property listings from off market and open market adverts based on each clients custom criteria. Selecting the right buyers advocate should result in you making the right purchase at the right price, saving you time and money. The results achieved by a buyer’s agent will benefit you in the long-term and should amount to considerably more than the fee. Questions to ask a buyer’s agent. What are their most recent purchases? What qualifications do they have? How experienced is the buyers’ agent? What is there local knowledge of an area? Can they provide recent client testimonials? Do they own property? Have Our Property Buyers Agents Call You.